The feminist movement trotted out its injured pride and having been ignored in history and abused for centuries (all of this true). Then the various denizens of identity politics weighed in with the outrage that their particular ethnicities were not given a proper place in the textbooks or in society itself (also true). However, this was a case of tossing out the baby with the bathwater. The “dead white men” who created the wonders of the modern world’s Western Civilization gave us values that benefit those very women and minorities in a way never found in any other civilization. •	Ancient Greece gave us the first glimmer of democracy and the birth of philosophy (a system outside the bonds of religion). They gave us the individual (a concept missing in most of the rest of the world’s social orders). •	Rome gave us a model of rule of written secular law that is still the basis of how we regard justice. •	The Medieval Catholic Church gave us contract law and the distinction between religious and secular rule and academic independence. Priests and popes did not rule kingdoms. •	13th century England took on the tyrannical King John and forced him into recognizing power sharing in a document called the Magna Carta. •	The Scientific Revolution gave birth to knowledge based on reason. From the moment the telescope was invented, Europeans rushed to refine, invent, and explore all other aspects of our world. When the telescope was given as gifts to the other great civilizations of the 17th century (Ottomans, Moghul Indians, and China), none of those empires found science worth pursuing. •	The United States of America, the work of 18th century Dead White Men, for all its faults, has mechanisms for self-correction, a division of powers among Administrators, Legislators, and Judges, and a process forever enlarging the participation of its citizens. We are still a work in progress. •	Slavery has a much longer history than the Black Slavery of the New World, a joint enterprise of Muslim slavers and European buyers. Black slavery began with Egypt and flourished in the Muslim world, even at a time when early Christianity had abandoned the practice. Abolition is a Western Civilization’s gift, first through English Quakers; next a Tsar in Russia; and finally under Abraham Lincoln’s leadership through a civil war that nearly split the United States permanently. •	Women’s Suffrage was the gift of Dead White Men in 1920 (won by one vote), and from then on shared power and participation with women. In many parts of the world today, this is still inconceivable. I as a woman, with the power to fully participate in my governance and ability to study and participate in every human enterprise, feel my debt to the Dead White Men who produced Western Civilization. This is no small gift for me----nor is it of negligible importance to the rest of our world’s civilizations. There is not one civilization out there not influenced enormously by the civilization that our ancestors created. The great advances in science and medicine are major contributions of western civilization, advances that have doubled human lifespan in just one century. The invention of contraception, for example, has lengthened the life of myriads of women who, without it, would suffer and die from unremitting childbirth. Giving women control over their biology has enabled them to be as productive and free as the great men who produced our civilization. The new findings in astronomy, for example, have sent us out on the next voyages of discovery, a capability that will cause much rethinking of our ancient religions. The concept of the divine will be infinitely enlarged by these discoveries. The rapid advance of brain science will finally determine what differences there are between male and female brains---and will throw into a cocked hat our notions of human responsibility, crime, and punishment. Our justice systems will never be the same. Western Civilization has unique elements not intrinsic to any of the other great civilizations: the sanctity of the human being in the concept of human rights, sanctity of private property, attempts at universal education, attempts at a justice system that works at fairness, and enormous and continuous creativity in arts and industries. The movement to dethrone Western Civilization has not succeeded in making its case. The proof is that the world votes with its feet; those who can flee to the west do so. I raise a toast to the Dead White Men who gave us all of this. 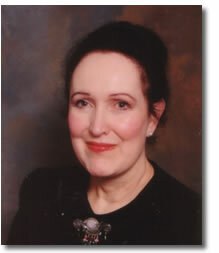 Laina Farhat-Holzman is a historian, lecturer, and author of many books on global civilization. You may contact her at lfarhat102@aol.com or www.globalthink.net.